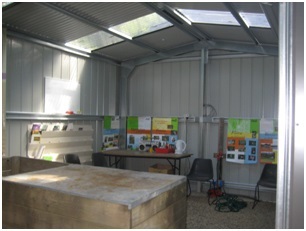 Stringybark Community Nursery was established following the 2009 bushfires with funding from the foundation for Regional and Rural Renewal (FRRR). It was intended at first to help fire-affected landowners in St Andrews, Christmas Hills, Strathewen & Arthurs Creek source free plants that were of local provenance for revegetating gardens and bushland. Over the first three years we distributed around 3,000 plants. 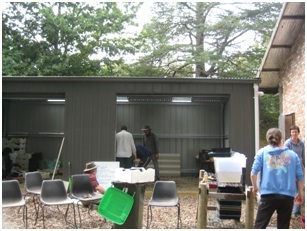 While we were lucky to secure funding to prepare the site, erect the shed and build the fence, all other work has been undertaken by amazing volunteers – installing watering systems, building shelves, stocking the nursery with pots, potting mix etc as well as regular weeding, gutter cleaning and other ongoing maintenance. 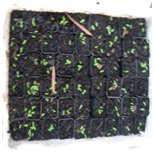 The nursery also gives local residents the opportunity to learn about propagating free, locally sourced plants for their properties and gardens. We also enjoy meeting to chat and share our news over seed collection and propagation! The nursery is run solely by volunteers and receives no ongoing funding from any source. We have also supported several local Landcare groups, schools and kindergartens by supplying them with plants for various projects. We hope to be involved in propagating and supplying plants for landscaping around the Blacksmiths’ Tree in Strathewen. Currently we are open on a Tuesday afternoon from 3.30pm, although other times can be arranged. Tube stock now costs $1 per tube. We are situated behind the Community Centre in St Andrews (The Old School), next to the multi-purpose room of St Andrews Primary School. There is parking on the left immediately before the bridge off School rd. To view our current stocks click on the link below – please note they change quickly. If you have a specific revegetation project come and talk to us.